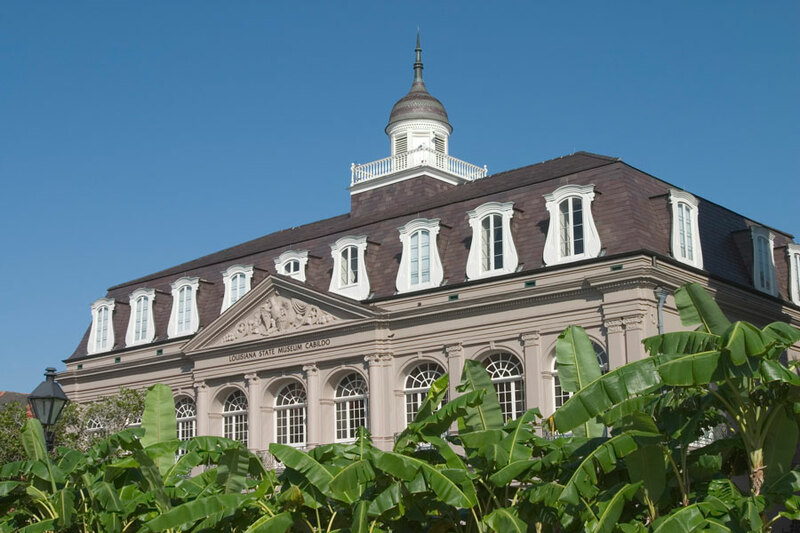 The Visitor Center is housed within The Historic New Orleans Collection. We found this museum, research center, and publisher to be dedicated to preserving the history and culture of New Orleans and the surrounding region. Founded in 1966, it currently houses more than one million items, including extensive photography collections, jazz holdings, colonial-era records, decorative arts, oral histories, film, and more. These materials form the basis of many of their exhibitions, programs, and educational outreach and are available to the public for research. These holdings also support their award-winning bookpublishing program. 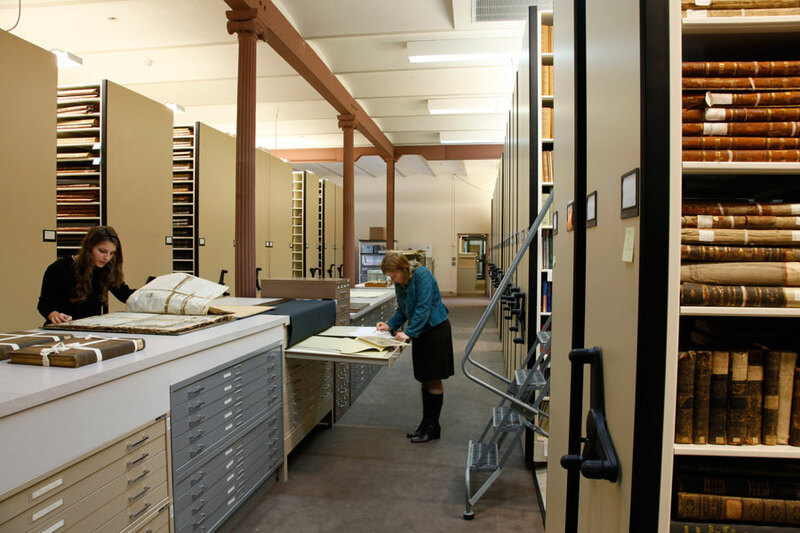 The Historic New Orleans Collection’s holdings at 410 Chartres Street are available to the general public in the Williams Research Center. Through the assistance of the Center’s experienced reading room staff, we found access to more than 30,000 library items, more than two miles of documents and manuscripts, a microfilm collection, and more than 500,000 photographs, prints, drawings, and paintings, as well as beautiful and unusual three-dimensional objects. The major research fields are colonial Louisiana, the Louisiana Purchase, the Battle of New Orleans, the Civil War, Mississippi River life, cartography, transportation, plantations, urban development, Louisiana artists and writers, architecture, the French Quarter, jazz and other forms of early New Orleans music, historic preservation, and Mardi Gras. We began our quest to learn about the history of New Orleans at 820 St. Louis Street in the Hermann-Grima House. Built in 1831 for Samuel Hermann, a wealthy German-born cotton broker, the home is the only Federal style house in the French Quarter. Mr. Hermann sold the home to Felix Grima, whose family inhabited the house until the 1920s. The Federal style home is marvelously preserved, giving us a window into the world of several generations of prominent New Orleans families. Inside the Hermann-Grima House and the adjacent garconnière, we were transported back in time to learn about this bustling 19th-century home, its outbuildings, and courtyard. The parlors, dining room, bedrooms, and outdoor workspaces are completely furnished in period pieces. From family portraits and kitchen equipment, to Mrs. Hermann’s tea set and the historically accurate reproduction carpets and upholstery, bygone New Orleans came to life. Next door, we visited the Exchange Shop building which was originally a stable and carriage house owned by the Grima family. Part of the stable remains in original form, and it is one of the only still present in the French Quarter. When the Christian Woman’s Exchange purchased the Hermann-Grima House, they moved their small shop from Bourbon Street to its current location where they sold handiwork made by women on a commission basis, following their mission of helping women in need. Chartered in 1881, The Woman’s Exchange is one of the oldest associations in New Orleans organized by women for women. Today, the Exchange Shop operates as the museum gift shop and continues to carry items made by local women, especially original art, jewelry and artisanal goods. On December 15, 1937, Mayor Robert S. Maestri purchased and donated the building at 514 Chartres Street, where the New Orleans Pharmacy Museum stands, to the City of New Orleans to be used as a “Napoleon Museum.” When the City officials realized the significance of Louis J. Dufilho, Jr. and this address to the history of American pharmacy, they designated the site to be the New Orleans Pharmacy Museum. After some building repairs, the acquisition of artifacts and exhibit set-up, the New Orleans Pharmacy Museum officially opened to the public with a dedication ceremony on October 16, 1950 and was operated by the city until 1987 when a group of concerned pharmacists, physicians and community business leaders established the “Friends of Historical Pharmacy,” a non-profit organization who maintain and operate the museum today. America’s first licensed pharmacist, Louis J. Dufilho Jr., significantly contributed to the field of pharmacy. In 1804, the State of Louisiana passed a law that required a licensing examination for pharmacists wishing to practice their profession. Prior to this law and before Louisiana became a U.S. State, there were some licensing measures, but none were enforced. A person could apprentice for six months and then compound and sell their own concoctions without any regulations. Thus, the public received incorrect doses and erroneous medications. In 1804, Governor Claiborne established a board of reputable pharmacists and physicians to administer a three-hour oral examination given at the Cabildo in Jackson Square. Louis J. Dufilho Jr. was the first to pass the licensing examination, therefore making his pharmacy the first United States apothecary shop to be conducted on the basis of proven adequacy. We sauntered onto Jackson Square for the trifecta of museums, all in a row. Center stage is St. Louis Cathedral, one of New Orleans’ most notable landmarks. Few cities in the world are so identified by an iconic building as is New Orleans, instantly recognized by our cathedral overlooking Jackson Square. This venerable building, its triple steeples towering above its historic neighbors, the Cabildo and the Presbytère, looks down benignly on the green of the square, General Andrew Jackson on his bronze horse, and the block-long Pontalba Buildings with their lacy ironwork galleries. Truly, this is the heart of old New Orleans, and we took in the view for a few minutes. The cathedral is the oldest Catholic cathedral in continual use in the United States. Since 1727, New Orleanians have worshipped in churches on this site. The church, dedicated to Louis IX, sainted King of France, was the first building in New Orleans of brick between posts construction. During the six decades that the church stood, this is where French and Spanish governors have worshipped and where the children of the colonists as well as the children of the slaves were baptized. Located next to St. Louis Cathedral in the French Quarter, the Presbytère stands as a beautiful reminder of Louisiana’s singular past and its vibrant present. The Presbytère was built on the site of the residence, or presbytère, of Capuchin monks. Gilberto Guillemard, who also designed St. Louis Cathedral and the Cabildo, designed it. The building was used for commercial purposes until 1834 when it became a courthouse. In 1911, it became part of the Louisiana State Museum. We really enjoyed the Presbytère’s two permanent exhibits, Mardi Gras: It’s Carnival Time in Louisiana and Living with Hurricanes: Katrina and Beyond, telling two sides of the ongoing Louisiana story, one of celebration and one of resilience. The elegant Spanish colonial building located on the other side of St. Louis Cathedral, the Cabildo, was built under Spanish rule between 1795 and 1799, after a fire destroyed much of the French Quarter in 1788. The Cabildo was the site of the Louisiana Purchase transfer ceremony in 1803, which commemorated the United States’ acquisition of the Louisiana Territory. It served as the center of New Orleans government until 1853, when it became the headquarters of the Louisiana State Supreme Court. Transferred to the Louisiana State Museum in 1908, the Cabildo houses a variety of objects related to the history and culture of Louisiana. We marveled at Napoleon’s death mask, made from a mold crafted by Napoleon’s physicians. After beignets and café au laits, we discovered one of the few places that offers the chance to experience the lifestyle of our ancestors of more than 150 years ago. The 1850 House at 523 St. Ann Street is one of these rare places, offering a glimpse of upper middle class life in antebellum New Orleans, the most prosperous period in the city’s history. The house doesn’t represent any single family’s house; rather, it reflects mid-19th century prosperity, taste and daily life in the French Quarter. We were tickled to find that the house is furnished with art and décor that speak to that era as well, including a set of John Slidell’s china, Old Paris porcelain, New Orleans silver and dozens of notable paintings and furnishings that, taken as a whole, transported us back in time. The Old Ursuline Convent at 1100 Chartres Street is the oldest building in the Mississippi Valley. Constructed by French Colonial engineers under the auspices of the crown, the convent was designed in 1745 and completed in 1753. Over the centuries, this building has been a convent for the Ursuline nuns, a school, an archbishop’s residence, the archdiocesan central office, and a meeting place for the Louisiana Legislature. Later, it served as a residence for priests serving mainly the Italian community and then housed the Archdiocesan Archives. Next, we headed to The Beauregard-Keyes Historic House and Garden, a National Historic Landmark built in 1826 and restored to its present condition by noted author Frances Parkinson Keyes beginning in 1948. Located at 1113 Chartres Street, it is an outstanding example of the raised cottage type, built for prominent local auctioneer Joseph Le Carpentier, incorporating both Creole and American features in this unique design. We felt as if we entered a bygone era at the Gallier House and marveled at the Victorian decorations and furnishings set within this architectural gem. Completed in 1859, The Gallier House was designed by famed Crescent City architect, James Gallier Jr. The fingerprints of his architectural genius adorn many of the most prominent landmarks in New Orleans, and his home bears many remarkable engineering innovations. Portraits of Mr. and Mrs. Gallier overlook the Rococo Revival double parlor while upstairs, authentic toys and games are found in the children’s bedroom. The kitchen and bathroom featured hot and cold running water, a rare luxury in the mid-19th century. This comfortable lifestyle was made possible through the work of enslaved people, and later domestic servants, whose work and lives are also interpreted on our tour of the Gallier House. At The New Orleans Jazz Museum we discovered a celebration of jazz in the city where the music was born. 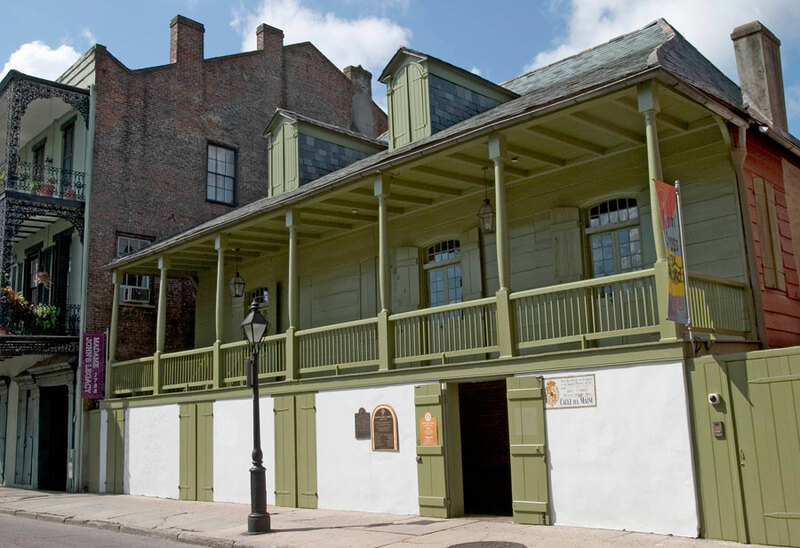 Located at 400 Esplanade Avenue between the French Market and Frenchmen Street, the Jazz Museum highlights the tremendous influence of New Orleans jazz on the cultural fabric of the nation and world. The Jazz Museum houses the largest and most comprehensive collection of jazz instruments in the world as well as a state-of-the-art performance theater where visitors can experience live jazz and other musical forms on a daily basis. The museum also houses the Louisiana Historical Center, the largest archival collection relating to Louisiana history in the region. It is one of America’s greatest archives. With more than two miles of documents and other materials dating from the 1500s to the present, the center is an incomparable resource for professional scholars and amateur researchers alike. 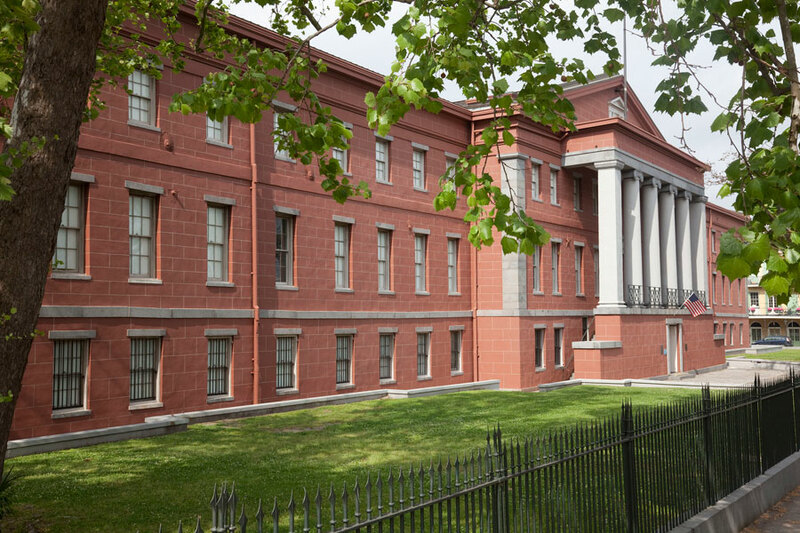 The Louisiana Historical Center houses the Louisiana Colonial Judicial Records of both the French Superior Council (1714-1769) and the Spanish Judiciary (1769-1803.) These criminal and civil records, which comprise the heart of the museum’s manuscript collection, are an invaluable source for researching Louisiana’s colonial history. They record the social, political, and economic lives of rich and poor, female and male, slave and free, African, Native, European, and American colonials. This collection of French Superior Council and Spanish Judicial records has long been essential to the study of American colonial history for the quantity, quality, depth, and diversity of the documentation they contain. The Historical Center also maintains an especially rich collection of late nineteenth and early twentieth-century Louisiana newspapers and 1400 original maps that we enjoyed looking through. Their library houses some 28,000 items related to various aspects of Louisiana history, the history of the Mississippi Valley, the Gulf Coast, and especially the territory that was part of the Louisiana Purchase. The library contains material from the period when Iberville settled Louisiana. We explored old city directories of New Orleans ranging from 1838 to present day. The library also houses the New Orleans Genesis, genealogy resource books and files, and a listing of tombstones in our older cemeteries. It houses several microfilm collections pertaining to colonial Louisiana as well as an extensive scrapbook collection, which provides a great source of information and Louisiana history. Further, we were amazed to find that it has approximately 4,500 pieces of non-jazz sheet music published from 1829-1958 including two pieces associated with Louisiana governors, “Every Man a King,” (Huey P. Long) and “You Are My Sunshine,” (Jimmie Davis.) One of the most important pieces is titled “Jim Crow,” dated 1832. After our visit to the New Orleans Jazz Museum, we decided to walk down Frenchmen Street and check out the latest with the New Orleans music scene. It was the perfect ending to a day of exploring the wonderfully interesting museums of the French Quarter. As a native New Orleanian, I thought I had a good grasp on the history of this area. After my staycation visit to these wonderful museums in the French Quarter, I can now say that I am enlightened and have a thirst for more. Dive in! You will be amazed by our uniquely New Orleans history!